TURBO FORCE Cutting Decks - landscape professionals worldwide rely on Toro’s patented TURBO FORCE® decks for outstanding quality of cut and durability. Commercial-Grade Durability: From the durable 7/10-gauge high strength steel TURBO FORCE® cutting deck, to the rugged 3” x 2” tubular frame and commercial-grade hydraulics, the TITAN HD zero turn mowers are built to last. TURBO FORCE Cutting Decks: Landscape professionals worldwide rely on Toro’s patented TURBO FORCE® decks for outstanding quality of cut and durability. Nothing cuts as fast or well as TURBO FORCE. 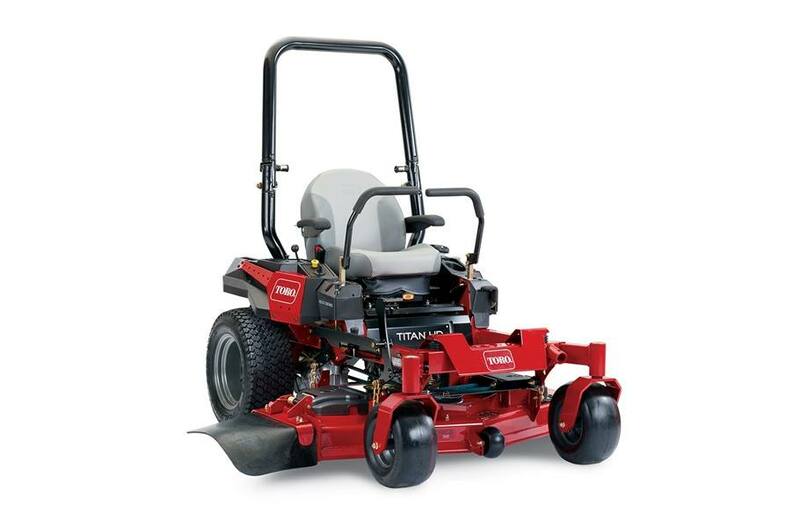 Toro Commercial-Grade Engines: Powerful and reliable Toro engines are built specifically for the TITAN HD 1500 Series to provide optimal performance and reliability. Heavy-duty features like the two-barrel carburetor, automotive-style piston assembly, cast-iron cylinder liners, and self-cleaning air filter housing ensure this engine is up to the task. Commercial-Grade Hydraulics: The integrated pump and wheel motor uses proven commercial hydraulic components while eliminating hoses and other potential leak points. You’ll get a smoother, faster response while enjoying an even more reliable machine. Front: 13 in. x 6.5 in. - 6 in. ; Rear: 22 in. x 10.5 in. - 12 in.